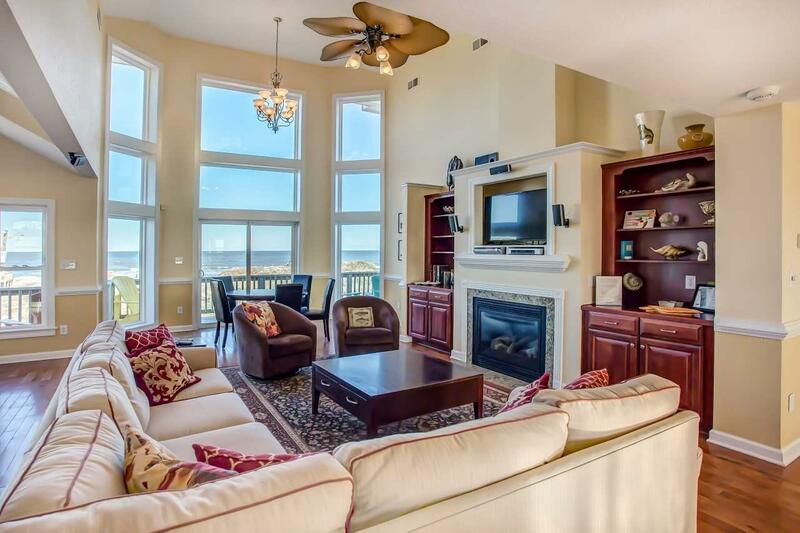 THE NUMBERS LOOK REALLY GOOD ON THIS OCEANFRONT INVESTMENT HOME OVER $220K IN RENTALS FOR 2016 AND 2017. 2018 $225,050 See Associated Docs! 2015 IMPROVEMENT...EXPANDED BACK YARD POOL AREA. THREE TIMES THE AMOUNT OF FENCED AREA WITH LUSH LANDSCAPING A LARGE DECK AREA WITH SUN SHADE SAILS. PLENTY OF ROOM FOR OUTDOOR FUN! Lots of privacy down near the end of the beach in South Nags Head. Great wide beach on you own quiet traffic free Atlantic Oasis! Malaika is a Swahili word for angel and this 5,000 sq. 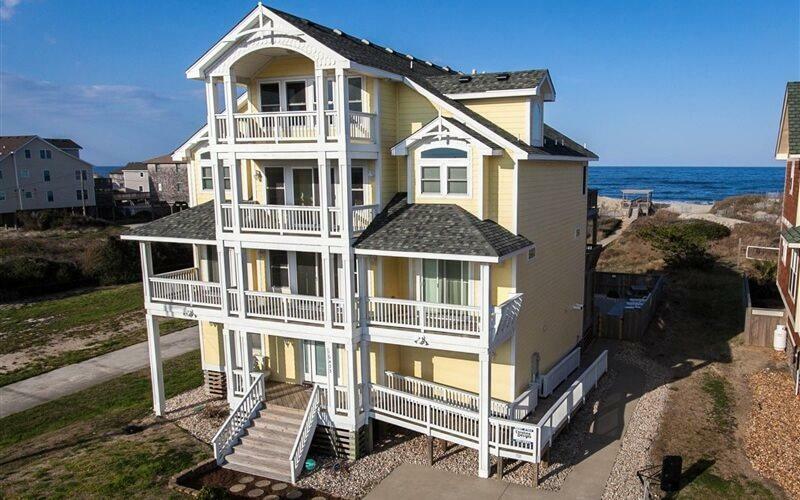 ft. 8 Bedroom 8 Bath custom beach home lives up to it's name. 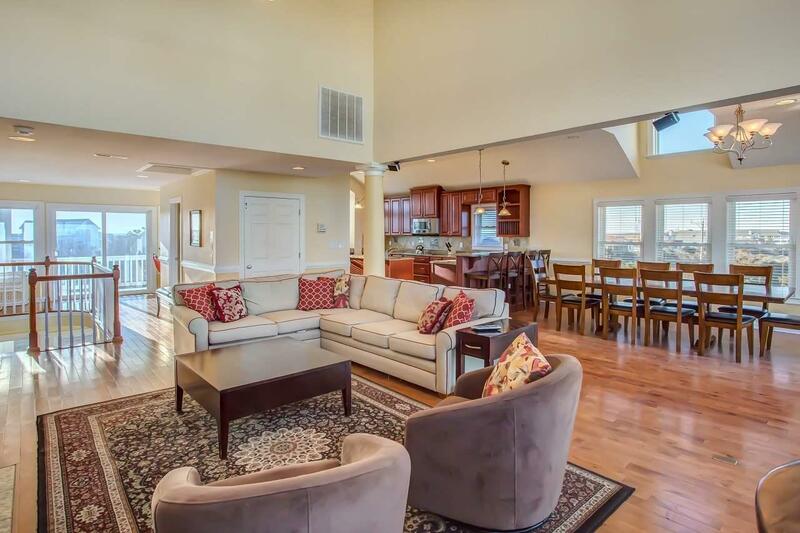 Exquisite upgrades and amenities abound in this heavenly Outer Banks home. 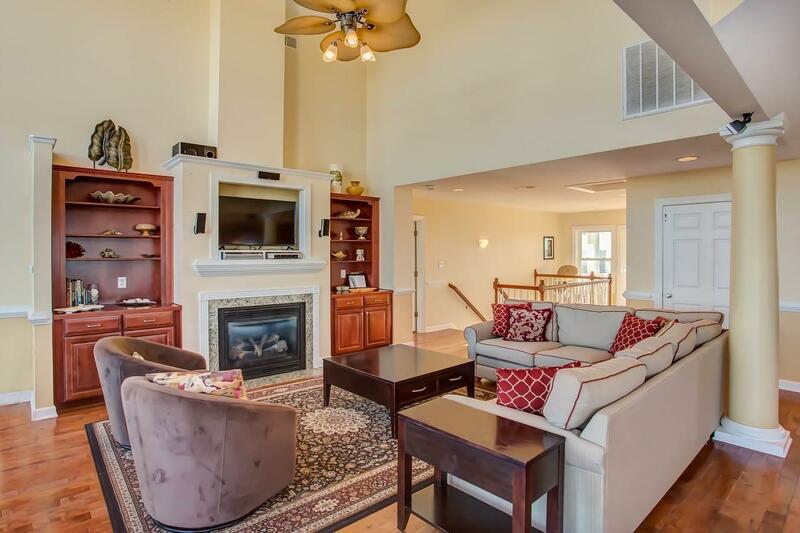 Only the best will do which is why Malaika's is outfitted with only top of the line furnishings, appliances and electronics - like the gourmet kitchen, or the LCD plasma TVs in every master suite, or the custom home theater. An indoor bar in the game room, complete with icemaker, dishwasher, microwave and full size refrigerator opens to the deck area leading to the pool. The deck offers an enclosed shower for your convenience when coming from or going to the pool area and the beach. The picnic tables on the pool deck mean you never have to leave the pool area to enjoy a sit-down meal. There is even a children's wading pool for the littlest angels. The master suites offer nothing short of heavenly repose, with each suite each having direct deck access and commanding magnificent views of the ocean, the dunes and the sound. The Grand Master Suite comes with a gas fireplace, a glorious master bath fitted with a glass-block enclosed shower and a Jacuzzi tub - where you can decompress. The light-filled Great Room with vaulted ceilings is an oasis of tranquility that offers divine and unparalleled views of the Atlantic surf. Malaika's invites you to savor a slice of paradise this side of eternity. NEW HEAT PUMP 2014 and 2016, NEW CARPET 2016.